Size: 12.05 x 9.98 mm. 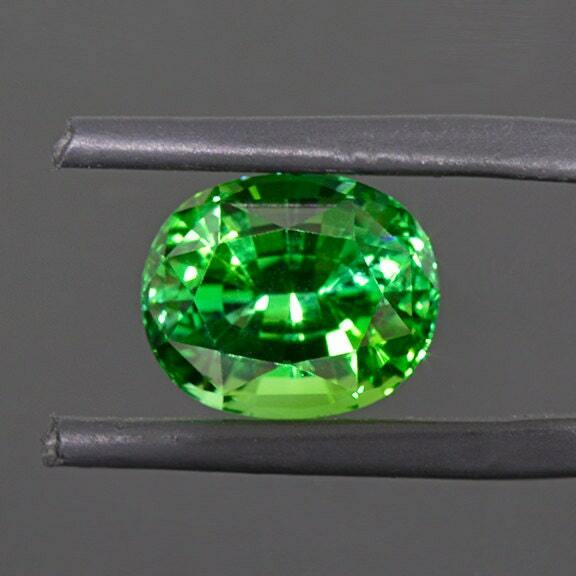 This is truly spectacular gemstone! 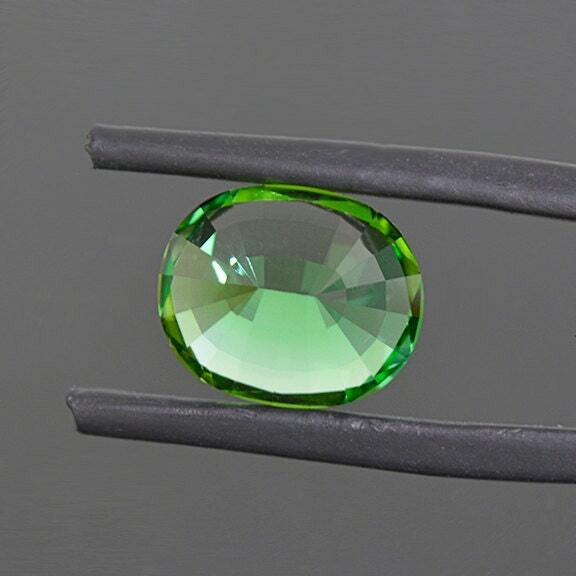 This Tourmaline is a bright green color, but will flash blue/green with flashes of yellow/green. The stone changes color every time it is moved in the hand. 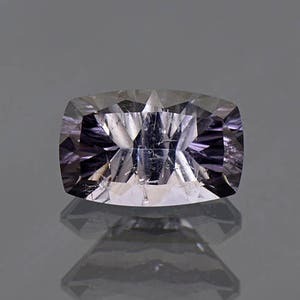 This is new material out of Namibia this year and some of the finest that came out. 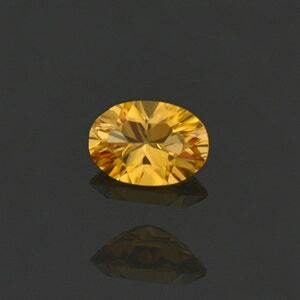 This new material is superb for its clarity and gorgeous brilliant color. 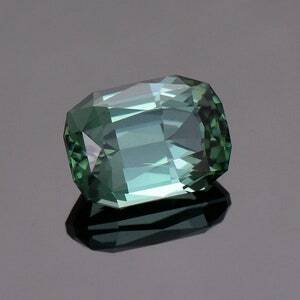 The clarity of this stone is exceptional, being just water clear. This is certainly a top quality collector’s gemstone, but it would make the most stunning piece of jewelry. 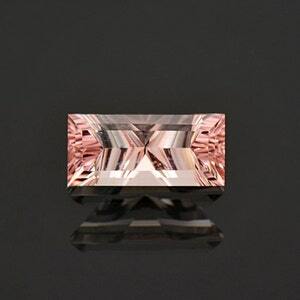 This stone warrants 18kt Gold or Platinum, and would absolutely look excellent with Diamond accents. Enjoy! 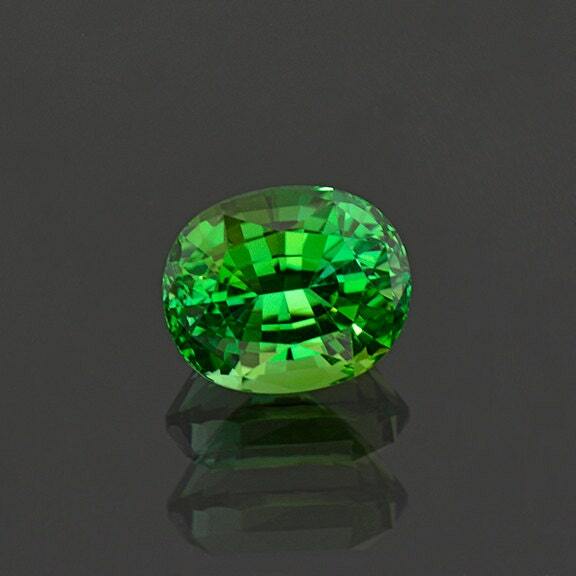 Fantastic Evergreen Tourmaline Gemstone from The Congo, 3.27 cts., 9.9 x 7.1 mm., Cushion Shape.